It was so much fun to have my 8-year old grandson overnight. We did a little shopping at the neighborhood Grocery Outlet where he saw a kit for making slime. He said he loves slime. I had no idea there was a slime craze. I bought the slime making kit and we went to work when we got home. You could add the desired amount of sand and green color. I told him it was an experiment and he could add what he wanted and see what happens. The green goo was more of a gob, we bounced it a little, rolled it around, and just had a good time making it. He said he had made slime previously with borax. I decided to look up ways of making slime and found this fun website. There are many recipes for slime. You might already have the ingredients for at least one of them. I would like to try some and see what a difference the varied ingredients make. I wonder if I could add vegetable coloring. Carrot juice might be interesting. It will be an experiment to create slime, goo, gobs, or whatever comes together. It’s a fun inexpensive way to spend time with your kids. This website has recipes, videos, and a PDF download for slime using different ingredients. It’s all about slime. 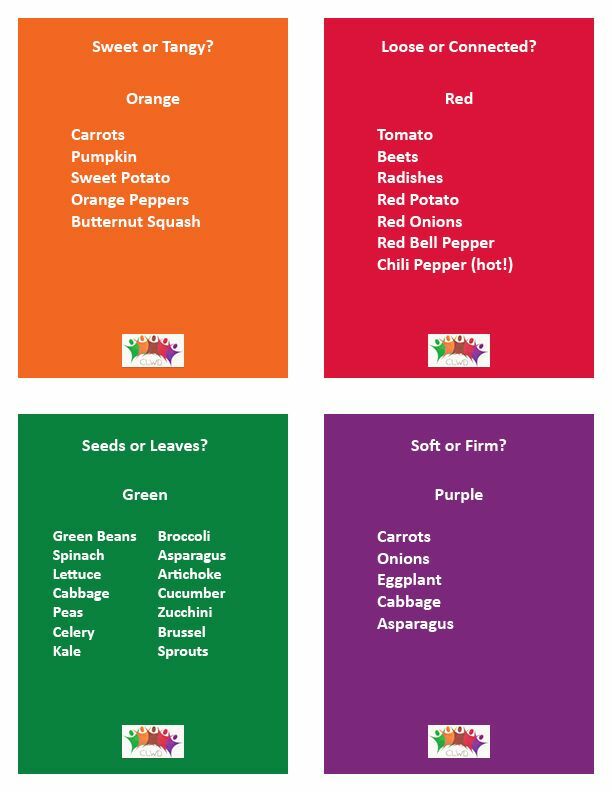 Send me an email, nancy@tealpublishing.com, and I'll send you a pdf of a reproducible Vegetables Coloring Page for kids, classes, and homeschool. Create a delicious mouth watering colorful Breakfast Stir-Fry. See recipe link for instructions or just sautee colorful bell pepper, onion (purple for added color) and kale, add cooked sausage and cooked rice (mix in soy, teriyaki or stir fry seasoning) to soft cooked scrambled eggs, top with your favorite cheese and have a simple colorful breakfast. Slivered almonds optional. To simplify, I cook sausage, drain it, then add vegetables. Kids love colorful vegetables if you find creative ways to entice their palates. How do your kids love vegetables? Have You Had Your Carrot Today? Carrots have Potassium which helps to keep blood pressure under control. Carrots are high in fibre. Carrots are high in Vitamin A which can improve eye health. Carrots are crunchy, delicious, and so versatile you can find a way to love carrots even if you don't taste them. I put carrot juice in frosting, macncheese, and my favorite, spaghetti sauce. Enjoy carrots raw, cooked, or blended. They are fun sliced, diced, or decorated. In fact, each color of carrot has a slightly different nutrition. I imagine we all need to eat more carrots. So make it a carrot month. Join the Vegetable Kids in eating carrots. Watch the video and see how you can stand firm like a carrot. What is your favorite way of eating carrots? ​Decorating in natural color––Is it worth it? This year, for the first time, I used carrot and beet juice to decorate Christmas cookies. It took extra effort but it felt good to try something natural. I was very glad to have the help of a friend for the children’s decorating. Was it worth it? I read a recipe that said to cook the beets, and then strain them through cheesecloth. That sounded like too much trouble, so I donned thin plastic gloves, peeled and washed a half beet, cut it in half and blended well with just enough water. Then I used a regular metal strainer to eliminate small clumps, while making sure the counter and my clothes stayed free of the beet juice stain. I creamed a little shortening with two cups of powdered sugar and enough beet juice to give the frosting a good consistency. Then I filled a frosting-decorating bulb with the purplish red frosting. The bulb made dispensing the bright frosting very neat, but was a little hard for small hands to push out when it was thick enough for the decorating tip to dispense the bright ribbed confection. All three children liked the taste of the frosting. In fact, many reminders were needed to not stick the knife back in the frosting bowl after licking it. After decorating the frosting with red and green sprinkles, M&M’s and various little candies, I looked at the cookies and realized I had definitely NOT avoided the artificial coloring. When I looked back at the picture of the natural frosted cupcakes, they didn’t include the unnatural colored sprinkles. Hmm. I do like to have cookie-decorating parties. What can I do? The first step was the natural frosting this year. Maybe next year I will use natural decorations like craisins, shaped natural cereals, etc. Turns out with all the color in the frosting, they didn’t really need the sprinkles that rolled all over the table and floor. Was it worth it? In and of itself, maybe not. They didn’t get a lot of carrots and beets from the frosting, but it was my first step to healthier decorating. The carrot frosting looks great on gingerbread cookies and the beet frosting would add color to sugar cookies. As you can see from the picture, we weren’t in it for looks––just fun and frosting! Then, after my 4-year-old granddaughter helped me make her favorite Macncheese, she asked if I could cut carrots into small pieces so she could mix it into her macaroni. Wow! She hadn’t said that before. I don’t know if she learned it somewhere else or if having all the vegetables around inspired her to have carrot macncheese. All in all a fun time was had by all. It’s fun to munch on cool crisp fresh fruit and vegetables. They are fast food that come wrapped in their own healthy skin. You may like to bite into a sweet red apple, or peel a yellow banana to taste the smooth flavor of the tropical fruit. My grandson likes to take a baggy of fresh spinach to school for his lunch, and I have a granddaughter who likes to dip her carrots in applesauce. Ok, those ideas may not entice your palate, but I have some ideas that might just make you want to dash to the refrigerator for a deliciously nutritious snack. Fresh fruit and vegetables are fast food for lunches when you add some protein and they make a lively snack to wake up your mouth in the afternoon. peanut butter, almond butter, nutella, caramel nutella mixed, greek yogurt, salted caramel yogurt, (My mother loved to mix fruit with her cottage cheese). When you see the colorful fruit and vegetables while fixing your kids lunch or snack, you will want to grab a snack for yourself to take to work. Make sure your fruit bowl and refrigerator contain a variety of colorful fruit and vegetables for fast food lunches and snacks. What’s in your refrigerator for fast snacking? We think of pumpkin pies and pumpkin lattes (not really pumpkin) this time of year. The sweet aroma of pumpkin spice with the richness of cinnamon wafts through the kitchen. I think of pumpkins in dessert and faces, but Pumpkin is so much more than a flavor, it's a nutritious vegetable. Pumpkin soup, baked pumpkin, and pumpkin seeds are all wonderful treats. How do you like your pumpkin? It's not just for Pumpkin Day! I went to the Farmer’s Market this morning, and I was amazed at the varieties from the end of summer produce to the beginning of fall newbies. There were still the strawberries, peaches, tomatoes, melons and many of the fruits and vegetables I have been seeing this summer. In addition, the fall apples are here along with blueberries, and lots of good prices on corn on the cob. I love to see the colorful display of fresh fruit and vegetables along with fresh made bread, honey, eggs, wine, and nuts. It's fun to talk to the vendors about the different types of plums, pears, and peaches or hear the woman next to me show me the plums that are really sweet. Going with a friend is a nice way to compare which produce vendor we like best and how we use the vegetables. When I got home I sorted through the fruit to see what was ripe and ready and which ones needed to sit for awhile. Seeing the bowls of assorted fruit and tomatoes was a delight to my eyes. I couldn’t resist eating some of the ripe ones as I was sorting. September is Fruit and Veggies More Matters Month. It’s a great time to add more color to your plate with fruit and veggies. Fresh is best but all forms of fruit and veggies matter. This recipe for Avocado Chocolate Ice Cream blends 2 of my favorites. I love avocados, but they need to be eaten at just the right time to get that creamy delicious texture. Kids often like avocados fresh, in guacamole, and in salads as well as a nice cold cup of ice cream. Avocado Chocolate Ice Cream is a great way to use those slightly brown avocados and make a delicious treat. I am saving this one until my next trip to the store for Avocados. Find the recipe at Fruit and Veggies More Matters, Avocado Chocolate Ice Cream.